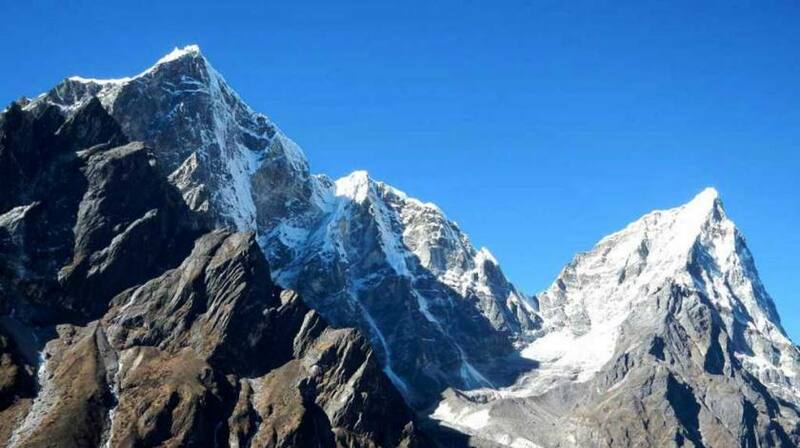 Lobuche Peak and Everest Base Camp is one of the best combo of trekking and climbing experience for adventure lovers who wish to enjoy a certain degree of thrill and technical climbing in the arduous icy terrains and snowy ridges to observe the fantastic view of the world highest peaks. There are two distinct summits of Lobuche Peak — Lobuche East (6119m) and Lobuche West (6145m) — connected by a continuous ridge with a sharp gap and considerable distance between each summit. 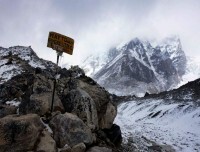 And we are climbing Lobuche East a.k.a. False Peak. Trekking to Everest Base Camp and climbing Lobuche Peak is a good choice from acclimatization point of view and a good opportunity to capture the Himalayan vista at its best from the popular Kala Patthar and Lobuche summit itself. Lobuche East Climbing and EBC starts with a scenic flight from Kathmandu to Lukla and follows the Dudh Koshi River towards the beautiful Sherpa villages of Phakding and Namche Bazaar. We will follow the classical Everest Base Camp trail passing through the gorgeous forest and crossing long suspension bridge towards Tyangboche Monastery and further to Dingboche village watching the towering peaks of Ama Dablam and Everest range. Our journey continues to Gorakshep and EBC and later to Kala Patthar viewpoint to catch an early sunrise before descending to Thukla for overnight. We change our track towards the Lobuche Base Camp from here and soon get ready with few instructions about the climbing techniques, use of gears, harness methods and required information for the successful Lobuche East summit. Our guided team will make sure about the safety and help you enjoy the full climbing experience minimizing as much as the level of distress. And when you reach the top and watch the majestic range of the world highest Himalayas, all of your distress will turn into a peaceful memory of a lifetime. Only half of the work is done when you reach the summit! So we start our descend to base camp and continue to walk towards Thukla and further to Pangboche village. Our journey to Lobuche Peak without Everest Base Camp can be shorter although it is highly recommended to attempt climbing endeavor with proper acclimatization only. If the given itinerary is too long but still want to Climb Lobuche Peak — 16 days.